Two years after the end of "The Apocalypse War," its spectre was still looming over Judge Dredd, but Alan Grant and John Wagner had pretty much run out of "post-war" plot kernels. (The anniversary parade at the beginning of "Question of Judgement" is a good gag, with a mushroom cloud and a pile of bodies staged as floats, but that's about it this time.) It's clear that the mega-epics were very popular, but that they were also exhausting to pull off. And it must have been a mighty task to come up with a new angle for an epic: since the premise of the series is the relationship between the protagonist and the city, there are only so many ways to get a long story out of upending that relationship. 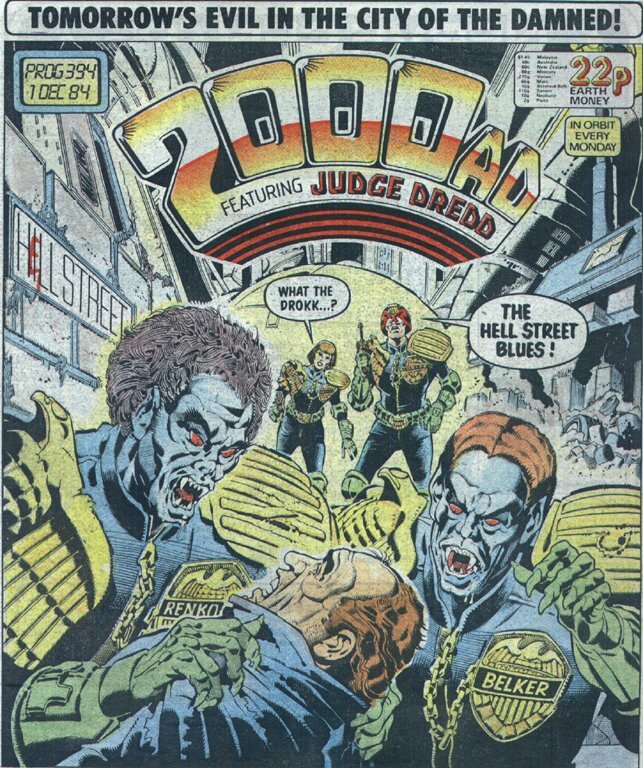 Pat Mills had already done the "Dredd goes out of the city into a very un-city-like environment" plot (and Wagner and Grant revisited the Cursed Earth for "Helltrekkers," a 29-part serial that ran from Prog 387 to Prog 415, and has been reprinted a couple of times but never as a book, but let me tell you, you're not missing anything). Wagner had done the "Dredd moves to a different city" plot and the "Dredd leads the rebellion against the new leadership of the city" plot. 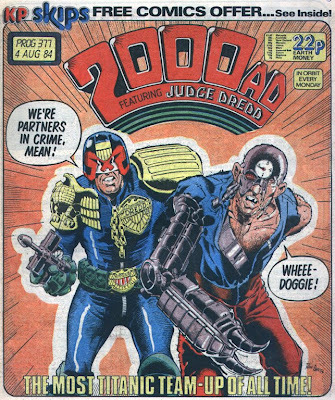 They'd done the "Dredd leaves the city and the planet and goes on an outer-space quest" plot. Then they'd done the "city becomes a war-zone, thereby changing all the rules" plot. So for the first third of this volume, you can see Grant and Wagner casting about for ways to make the feature stay fresh. "Dredd Angel" is the best thing in the volume--it's very funny most of the time (the gag about "the lost treasures of Liberace" is an excellent conceit, if one likely to be lost on British 14-year-olds in 1984), and Ron Smith plays a couple of scenes for comedy that other artists would have treated as straighter violent chaos. 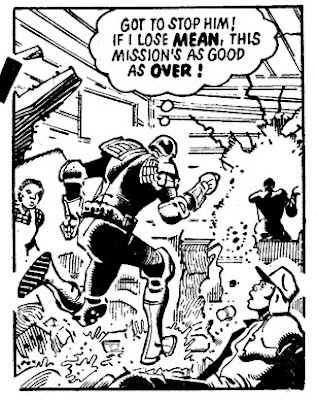 Look at the way he draws Dredd running after Mean Machine here--that's practically a Bugs Bunny pose. It's fair to say, though, that "Dredd Angel" is a rewrite of "The Cursed Earth" with a little bit of "Destiny's Angels" spliced into it: once again, Dredd has to go (via land, for a similarly opaque reason) across the badlands to deal with a McGuffin, with an unreliable/violent guide. Still, it opened up the "clone bloodline" plot that would bear fruit a few years down the line. 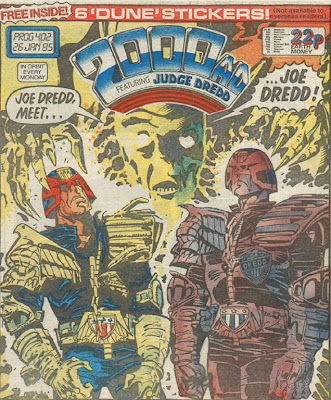 The "Question of Judgement"/"Error of Judgement"/"A Case for Treatment" sequence was another potentially interesting avenue--Dredd questioning his own actions and dealing with the long-term effects of being a state killer--that Wagner and Grant went about in a way that quickly turned into a dead end, and immediately abandoned. 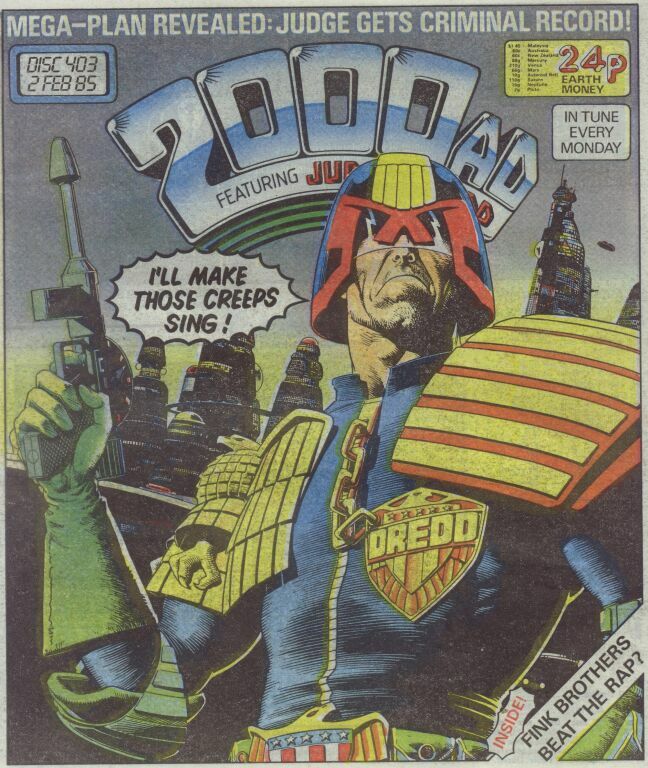 (It's very strange to see Dredd being suddenly self-reflective and soft-hearted; it doesn't open him up as a character so much as go directly against what we know about him.) "A Case for Treatment" also seems to have been written as a lead-in for "City of the Damned" before "The Wally Squad" was abruptly slotted into place--there's an amusingly awkward bit of dialogue at the end, where McGruder says she's about to give Dredd "his sternest test since the Apocalypse War"... except for this other thing he has to do first. "City of the Damned" was an awkward proposition from the beginning (four artists in 14 episodes! ); according to Thrill-Power Overload, it was originally supposed to be another half-year-long epic, but at some point Grant and Wagner decided that it wasn't working and wrapped it up pronto. 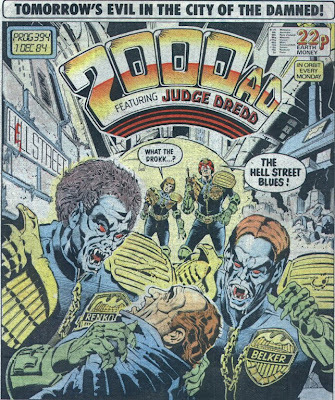 It does manage to come up with another variation on the relationship between Dredd and the city--the time-travel plot means that he could be in the same place but find it in ruins (and overrun by the vampiric Judges, a.k.a. the "Hell Street Blues," a joke I'm guessing has largely been lost to time). And teaming Dredd up with Anderson again (and making him relatively helpless and reliant on her) was a welcome touch. The problem was that Wagner and Grant were clearly not particularly into the story--separating Dredd from most of his supporting cast meant that it was just one fight scene after another. That final episode is pretty action-packed (although Ron Smith still seems not to be too certain of how to draw McGruder--compare her appearance here to "A Case for Treatment"), but there's a palpable sense of "well, that's over with!" at the end of it. 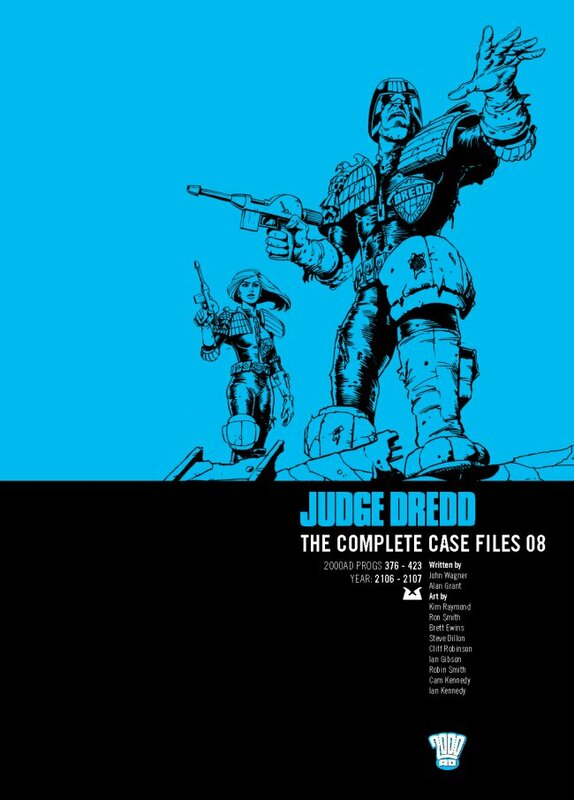 The final third of Case Files 08 is the weakest Judge Dredd had been in years, partly because of artistic inconsistency (the five-parter "The Hunters Club" involves three very solid artists with not-terribly-compatible styles), but mostly because Grant and Wagner were phoning it in. 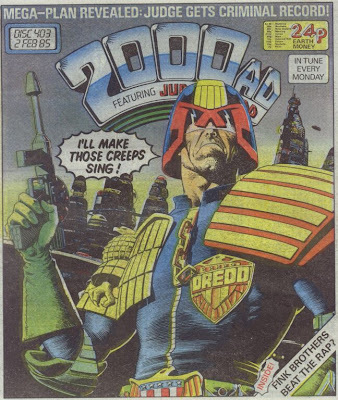 "Juve's Eyes" is something of a low point, thanks to its "comedy" Spanish accents (and a very thinly disguised slur)--Judge Dredd is so far ahead of the curve in a lot of ways that it's particularly grating to run into retrograde crap like that. (See also: bits of the first Hondo City story.) Also, it's thankfully been a while since a vagrant in the strip was referred to as a "vag." 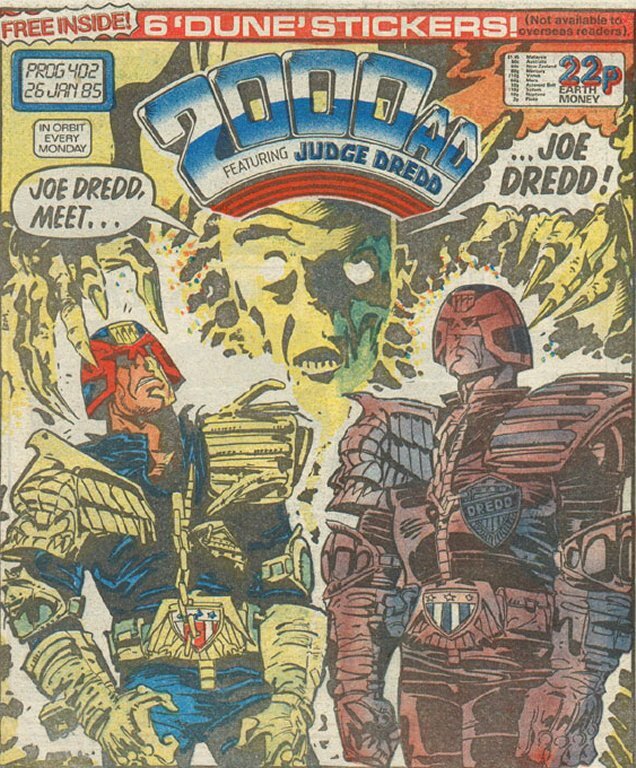 "99 Red," the final story in here, was also the final story reprinted in the Complete Judge Dredd magazine-format series of the early '90s. 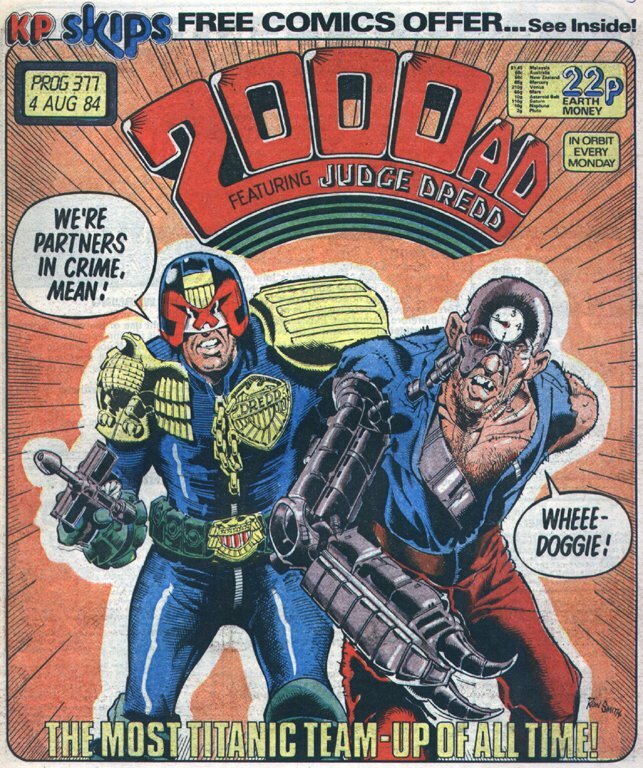 (That series was promptly replaced by Classic Judge Dredd, which went up to the end of "Oz," i.e. the end of Case Files vol. 11.) I can't even tell what's supposed to be happening at the end of the episode: the next-to-last caption ("Sleever may never recover. 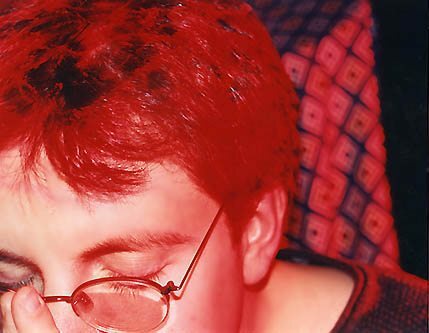 But with luck--and careful laser surgery--Sleever could be back on the streets within days") makes no sense. Besides, wouldn't Sleever just be shipped off to Titan? Still, there are a few jewels among the lumps of coal. "Thirteenth Assessment" is a cute take on the "Dredd and the rookie" formula, and Judge Brisco actually turned up again in 2000 AD just a few weeks ago. (I guess his mom got out of jail sometime around the end of "The Satanist.") "Sunday Night Fever" (which features Arthur Koestler Block leapers again!) finds Cam Kennedy trying to work some of his Mike McMahon-isms out of his system, but it's a nice-looking piece as it is. 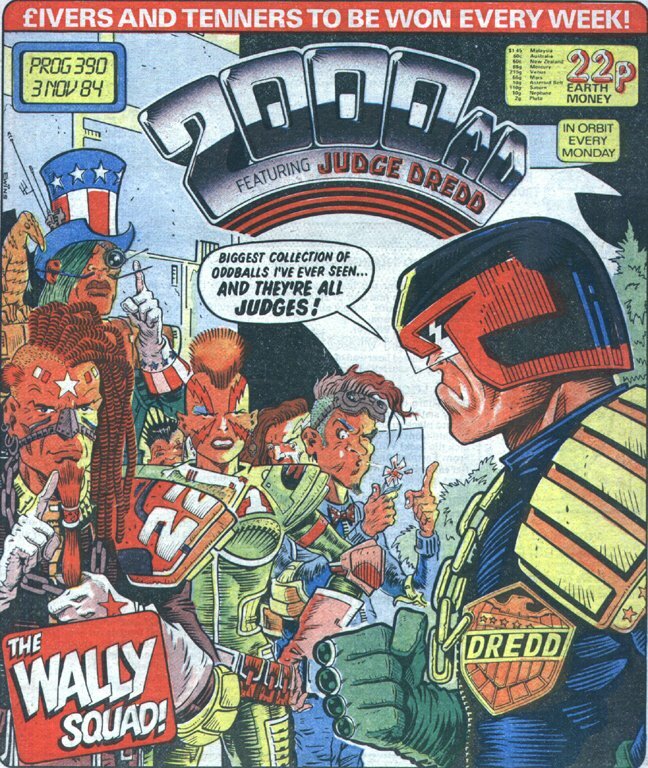 In the prog after this volume ends, Kennedy would draw the first episode of the next great Dredd story. But that will have to wait until the 18th: next week, we take another detour into color, as we arrive at the second volume of The Restricted Files. I loved how they finished off City of the Damned--Dredd just shouting "i know a way out of this" until he's in a room with a mutant clone baby, which he executes, and then shouting out a recap at Anderson, and then done. There's a sense that particular ending could have been tacked onto City of the Damned at any point whatsoever. Terrible but brilliant. Poor Kim Raymond, no-one has a good word to say about him! Perversely I loved his stuff at the time and still do. No accounting for taste. McMahon influences or not, I don't think MC-1 or its inhabitants have ever been drawn as convincingly as by Kennedy in this story. Unless it's in his next big outing, Midnight Surfer, which is truly magical stuff. 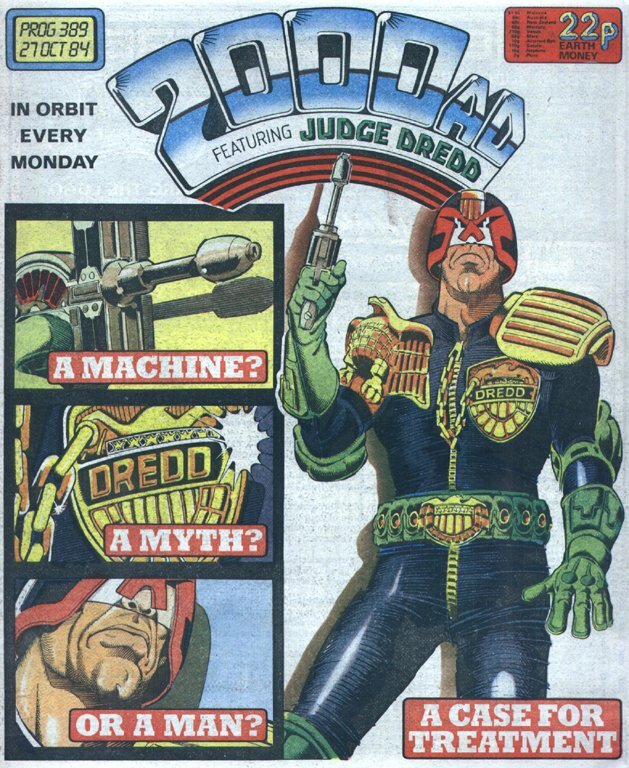 The Question of Judgement/Error of Judgement/A Case for Treatment storyline was an immediate dead end, but they also helped establish that Dredd wasn't perfect, that he had self-doubts and concerns about the entire system (and that he could only get over them by focussing on bigger problems, or tighter boots). That helped pave the way for things like Midnight Surfer, which Dredd - and the system he represents - is totally the bad guy, but also led to the terrific democracy stories and Dredd's current status as somebody who has been slowly changing the entire gruddamn system through sheer force of will. I think with Cam Kennedy it's less that he's influenced by McMahon (although he is) than that both he and McMahon owe an awful lot to Victor de la Fuente. I have a soft spot for "Dredd Angel", "The Wally Squad" and "City of the Damned" because they're among the first Dredd stories I read when I were a wee lad of 11. Nostalgia makes up for a lot of flaws. I can't say much about Kim Raymond, but I've never been a fan of Ron Smith's artwork, even though he was a bit of a Dredd staple back in the day. Sorry this comment is about four years too late, but I've only recently discovered this absolutely brilliant blog. Just to be fussy, the reference to "Sleever may never recover. But with luck - and careful laser surgery - Sleever could be back on the streets within days" which puzzled you at the end of Code 99 Red is a bit of black humour alluding to the post-apocalypse-war practice of lobotomising insubordinate judges and returning them to the streets instead of packing them off to Titan or sending them on the Long Walk. I guess it's some sort of resource-saving policy after the Sovs wiped out so many good judges during the war. The idea gets brought up again during Wilderlands (if my memory can be trusted) where one of the senior judges suggests surgery for the rebellious Dredd and McGruger snaps back "out of the question."